Welcome to Wise Farm Equipment, your local New Holland dealership servicing the Upper South-East of South Australia, and Western Victoria. We specialise in all aspects of New Holland machinery including Tractors, Hay & Harvest Equipment, and Guidance/GPS Products. We also operate as full franchise dealer for both motor vehicles trading as Wise Ford & Wise Isuzu Ute. We also sell & service a wide range of machinery including, but not limited to: Hardi Boom Sprayers, Nitro Self-Propelled Sprayers, Horwood Bagshaw, Simplicity & Morris Tillage Equipment, Macdon Hay & Harvest Equipment. Our sales team can also help with finance on your equipment to complete the sales experience. 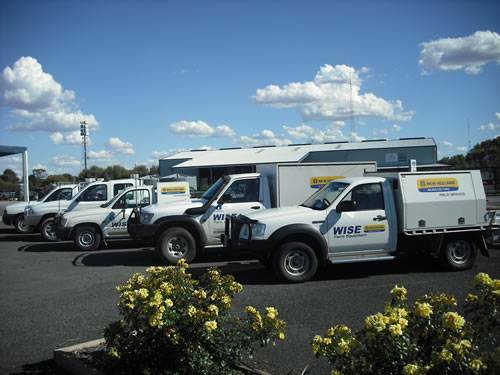 The team at Wise Farm Equipment pride themselves on their after-sales support with a focus on parts & service backup, with our factory-trained technicians available for service both in-house and on-site in our fully kitted-out service vehicles.